Who says trees should be reserved for Christmas decorations? 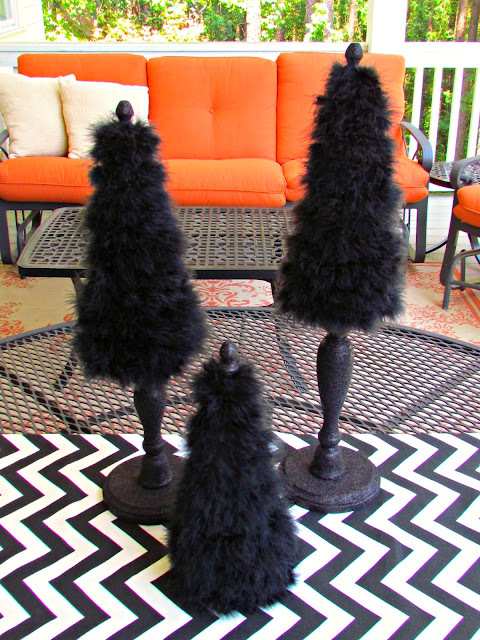 These black Halloween trees make a fun Halloween centerpiece. And when you add that chevron table cloth and orange couch, I am in love! The orange couch might have to be added to my irrational Halloween wish list. Luckily the cute little trees aren't irrational at all! You can check out how to make Halloween trees over at Crafts Unleashed.